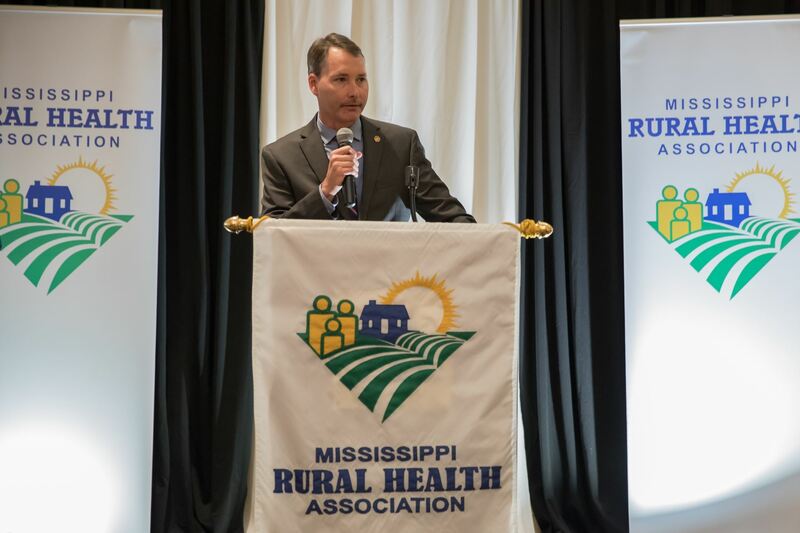 State Representative Sam Mims, District 97, was recently recognized by the Mississippi Rural Health Association as its State Legislator of the Year before an audience of more than 180 healthcare professionals at its 22nd Annual Conference in Jackson. Mims earned this award due to his consistent support of healthcare legislation, particularly that which supported rural hospitals and other rural healthcare providers. Speaker of the House Phillip Gunn, District 56, introduced Mims for the award with remarks including his personal and professional relationship with Mims as well as the leadership and professionalism that he believed the representative brought to the legislature. Mims, a native of McComb, was elected to the Mississippi House of Representatives in 2004. He is married to the former Amy Legg of Summit. They are the parents of two daughters and one son. They are members of Centenary United Methodist Church in McComb.